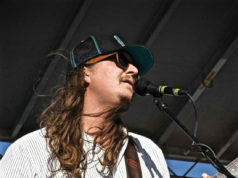 Whither Jeff Tweedy and Wilco’s less severe side? It’s 2006. Pop music, even the stuff with guitars and drums, isn’t going away. And yet music lovers continue to split into increasingly arcane special-interest groups. SoulSeek and MP3 blogs draw us ever more seductively into our musical caverns of choice. There’s no Great Band like the Stones, no unifying force like Springsteen. But we’re bolder about creating our own obscure playlists, less inclined to await consensus, more attuned to the overwhelming variety of tuneage that’s out there. Maybe we don’t need Great Bands anymore. Despite the critical overreaction to Wilco’s every move, Jeff Tweedy and company have approximately zip in the way of Great Band potential. They never deserved to be treated like Radiohead. Hell, Radiohead never deserved to be treated like Radiohead. Wilco made an album that, in between its dry, melancholy, prosaic pop songs, was filled with some weird, ambient beeswax. Warner Bros. subsidiary Reprise declined to release Yankee Hotel Foxtrot, lending it immense online cachet. Eventually, another Warner subsidiary, Nonesuch, unveiled the album in late 2001. Sales were decent. Critics kowtowed to the point of masochism. From then on, a lot of people insisted on treating Wilco like a Great Band with Important Things to Say about Society, forgetting that if Tweedy knew anything about 9/11 while making the album, he belonged in jail. So here we have a fun band that put out a puffy, stilted record, got a lot of attention, and stopped being fun. Whether the newer albums are “good” depends solely on the listener’s tastes. But Wilco was never Great, and in 2006 you’d be in a spot if you had to name one fun thing about them. In 1995, Wilco had so much fun that no one took them seriously. 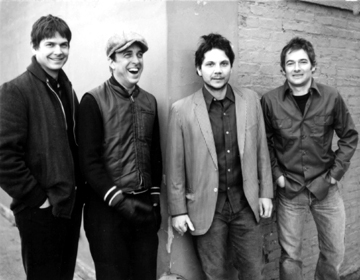 When Tweedy recorded A.M., he was fresh off the bitter implosion of Uncle Tupelo, his old band, formed in ’87 in Belleville, Ill. Some critics now credit Uncle Tupelo with inventing “alternative country,” a mix of ’80s college rock and certain Appalachian tropes dating back to the Great Depression. Compared to bona fide Nashville country, alt-country doesn’t speak to the average Wal-Mart employee and thus never took off in the actual country. 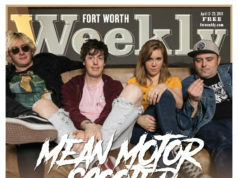 Nevertheless, in the big cities and in well-read journals, Uncle Tupelo was taken seriously enough to have an effing magazine named after one of their albums. (Say it with me, class: No Depression.) De facto leader Jay Farrar killed Uncle Tupelo by leaving abruptly. He carried the alt-country torch on Trace, the rich and unbelievably sad debut from his then-new band Son Volt. Meanwhile, Tweedy (who scrambled for whatever creative input he got in Uncle Tupelo) formed Wilco and released A.M.
Now there was a fun record. From the shuffling pop of “I Must Be High” through the Stonesy swagger of “Casino Queen,” the goofy bluegrass fusion of “That’s Not the Issue,” the sublime, bleary-eyed ballads “Should’ve Been In Love” and “Thought I Held You,” A.M. showcased Tweedy’s remarkable range without once taking itself seriously. The lovably unreliable narrator, Tweedy’s erstwhile persona takes its most memorable turn on “Passenger’s Side,” a Westerbergian ode to the horrors of sobriety-by-proxy. Hearing A.M. now feels like rediscovering a solid, affable group that, through no fault of its own, never went anywhere. The art of A.M. is a populist art, an art diminished by the piercing light of Importance. For the record, let’s not begrudge Tweedy and Wilco their riches and their fame. But had they not gotten Important, A.M. would be one of those fantastic, overlooked ’90s rock albums you could buy used for next to nothing. And maybe it would be more fun if it were. Not to discount Tweedy’s supposed post-YHF “recovery,” but the record and its limp 2004 follow-up, A Ghost is Born, sound like heavy drug albums. By contrast, A.M. sounds like a beer album. And people who love beer albums could use a little leftover scratch. Tweedy and the current lineup (guitarist Nels Cline, guitarist/keyboardist Pat Sansone, keyboardist Mikael Jorgensen, drummer Glenn Kotche, and bassist John Stirratt, the only original member save Tweedy himself), released Kicking Television: Live in Chicago late last year. At 23 tracks deep, it’s a good overview of Wilco’s recent, more cerebral material, in case you’d prefer to develop your own debatable theories. Originally published in Charleston City Paper. Thu, Oct 12, at Will Rogers Memorial Center, 3401 W Lancaster Av, FW.